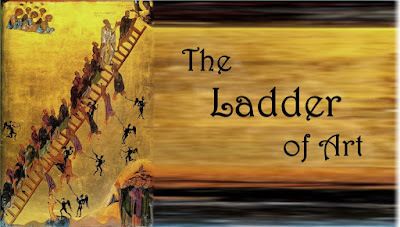 The Ladder of Art is a supplement to, and the "next stage" of, the Infinite Art Tournament. 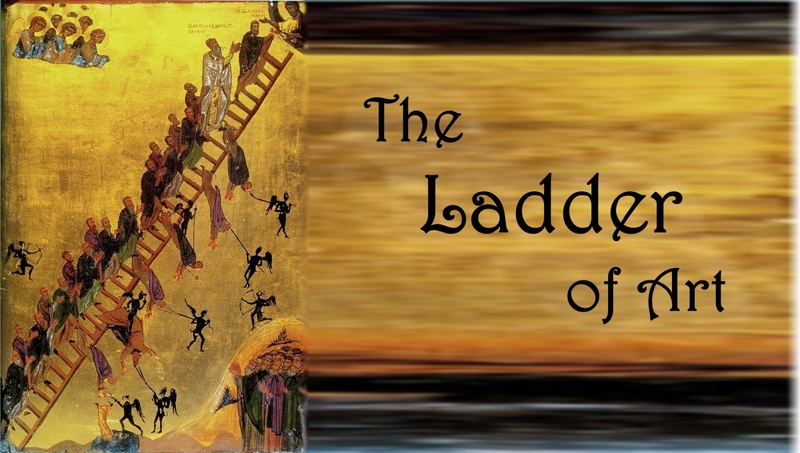 It brings a variation on the traditional "ladder"-style challenge tournament to the perusal of great art. It is among other things a way of looking back at some of the artists who didn't get much attention the first time though, and seeing if there was anybody back there who we overlooked. All You Need to Know: Every week there will be seven artists, each represented by two works. All you have to do is say which ones you like best. Everybody gets four votes. Anybody can vote! Unlike the Main Tournament, Ladder of Art matches are only open for six days. Votes are due by Friday Morning. I'll accept any votes cast before I do the counting, which could be as late as Saturday evening, but also could be as early as noon (Pacific Time) on Friday. Mechanics: The first week features the seven artists who fared worst in the Tournament, coming in from 506th to 512th place. the three lowest-scoring artists "fall off the ladder." the 2nd, 3rd, and 4th place artists survive and will be part of next week's group. The first-place artist survives with a "bye week" and skips over next week, rejoining competition the week after. Ties are resolved "in everyone's favor." For instance, if three artists tie for first, all three of them get the bye week. In all weeks after the first, the voting pool is brought back up to seven (if necessary, which it almost always will be) by adding the appropriate number of artists with the "next worst" ranking from the original Tournament. Q: What do you mean by "ranking"? A: The Ladder of Art is seeded according to the share of votes that an artist earned in the main tournament. This is the ratio of [(all votes cast for an artist)/(all votes cast in the matches an artist was in)]. For example, in his two matches, Roy Liechtenstein had five votes in his favor, but his opponents had 18. His "batting average" is therefore 5/23, or .217, a tie for 486th place. Q: What about win-loss record? A: Artists were rewarded by their wins in the main tournament, but in the Ladder of Art we consider only batting average. This will create some strange scenarios if we stick with it long enough. Henri Rousseau, for example, went 3 wins, 2 losses, and a tie but only cobbled together a .464 batting average -- the same average as Edward Burne-Jones, who only went two-and-out. Except, with a little more precision H. Rousseau's 32-37 vote tally calculates to .4638, whereas Burne-Jones's 13-15 goes to .4643, so Burne-Jones is 256th, ahead of 257th-place H. Rousseau. Q: But the main tournament isn't over! A: Yes, but outside of statistically extreme events, everybody left in the main tournament has a record good enough to rank them in, say, the top 300. That means we can start making our way through the lowest-placing 212 artists with confidence that their rankings won't be shifted by someone finishing worse than they did. Q: Why do I only have a week to vote? A: Because next week's lineup depends on this week's results. Q: What if everybody gets the same number of votes? A: Here's what would happen in that unlikely scenario. By rule, the seven-way tie for first would mean all seven artists got a bye week, would skip the next week (let's call it week 2), and reappear the week thereafter (week 3). In week 2, the first-place finisher from, um, week 0 would presumably be joined by six new artists, and the 2nd, 3rd, and 4th place of this batch would advance to week 3. On week 3, then, there would be ten artists placed for competition; there would be no need to "draw up to seven" so there would be no new entries. The voting would run as usual, only with more candidates than normal. Q: Could this drag the winner of the Tournament down to last place? A: No, an artist can not drop very far in a single iteration of a challenge tournament. However, in theory the 512th placed artist could rise to first. Q: Can I combine my votes for one artist, like "all four of my votes for Rembrandt"? Q: Can I vote against artists? A: Yes. Unlike in the main tournament, votes against artists will be counted if the voter hasn't already used up their four votes. A: It would take about three and a half years, carried through to conclusion. No promises on that front.